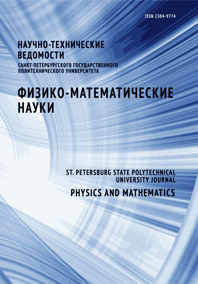 Mikhailovsky Egor A. Novitsky Nikolai N.
In the paper, we propose a method for numerical solving the problem of the flow distribution in hydraulic circuits with lumped parameters for the case of random closing relations. The conventional and unconventional types of relations for the laws of isothermal steady motion of fluid in the individual hydraulic circuit components are considered. The unconventional relations are represented by those implicitly given by the flow rate and dependent on the pressure of the working fluid. In addition to the unconventional relations, the formal conditions of applicability were introduced. These conditions provide a unique solution to the flow distribution problem. A new modified nodal pressure method is suggested. The method is more universal in terms of the closing relation form as compared to the unmodified one, and has a lower computational cost as compared to the known technique of double iteration cycles. The paper presents an analysis of the new method and its algorithm, gives a calculated example of the gas transportation network, and its results.